Net-a-Porter is an additional 15% off sale here with CYBER15. Shopbop is an additional 30% off sale here with WOW18. BaubleBar is taking 35% off everything here with CYBER35! My favorite Spanx leggings on sale here, here and here. Everything on BaubleBar 35% off today. Original post here. Dress on sale here and coat on sale here! Pants on sale here and sweater on sale here. Original post here. Skirt on sale here. Original post here. Jacket on sale here and shoes one sale here. Tulle skirt on sale here. Original post here. One of my favorite dresses from this year on sale here. Original post here. 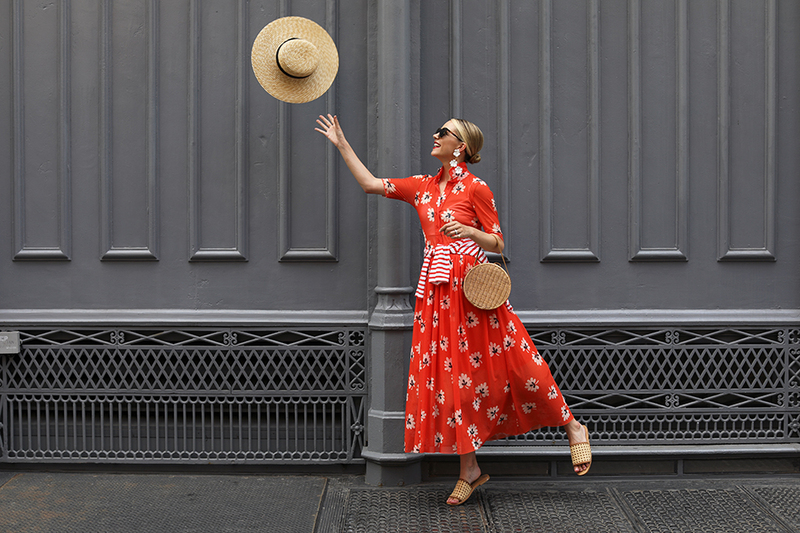 Ganni dress on sale here. Original post here. Top on sale here, skirt on sale here and shoes on sale here. My favorite travel scarf on sale here– such a great gift! Original post here. Dress on sale here (skirt version here) and sweater on sale here. Original post here! Boots on sale here and headband on sale here. Original post here. Pants on sale here and coat version on sale here. Original post here. Stripe sweater on sale here. Original post here. Polka dot coat on sale here (matching skirt on sale here). Original post here. Plaid coat on sale here. Original post here. Orange dress on sale here. Original post here. Lilac dress on sale here. Original post here. Leopard denim on sale here bag on sale here with MORE18. Looking beautiful as always. Love ♥️the featured items. 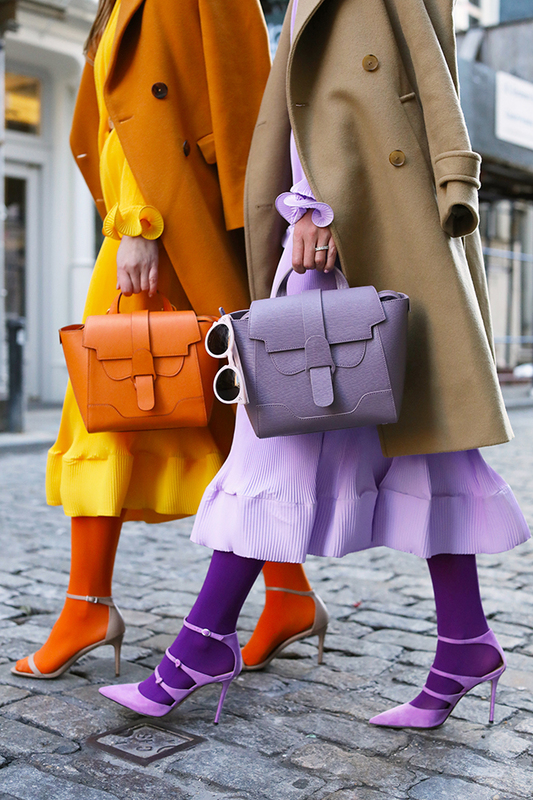 Your use of color in your outfits is just crazy amazing! I ❤! I love the fact that you use so many colors in your outfits! You have an unique style and that is what makes you so special. I love your style and am also someone who likes to experiment with colors and styles! I bought the plaid wide-cuff pants at Nordstrom and get compliments every time I wear them! 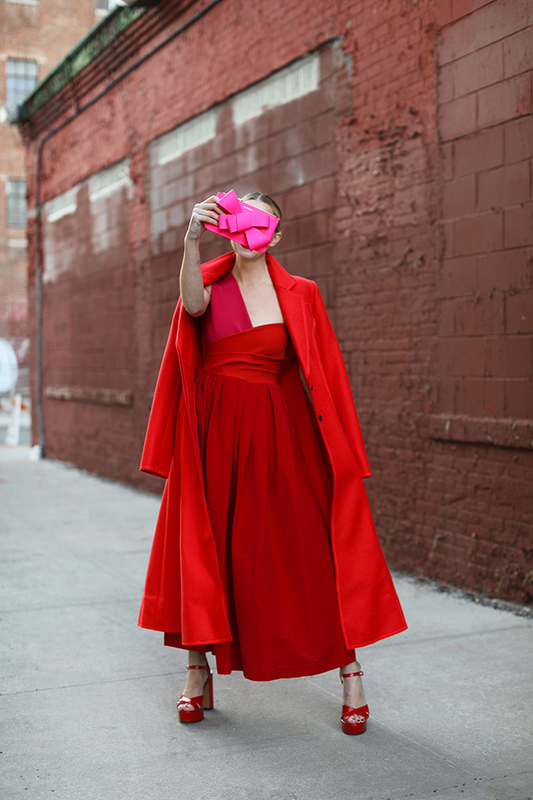 My question is where you got the hot pink bow clutch in the first pic in this post (in the red outfit)? I love it! These are all beautiful looks. Your style is so unique and beautiful. These are all beautiful pieces and outfits. Thanks for sharing the sales associated with them. I didn’t realize so many sales were still happening. so many great items on sale!! I didn’t realize your plaid coat is on sale! Ah I need it! Where is the jacket from 😊? Where is the orange fur jacket from 😊?